Successfully Added MGCOOL Explorer Pro Action Camera - Interpolated 4K, IP68, Sony IMX179 Image Sensor, 170-Degree Lens, 1050mAh, App Control, 16MP to your Shopping Cart. With the MGCOOL Explorer Pro action camera, you’ll be able to shoot breathtaking video and photographs the next time you head out into the wild. With its Allwinner V3 chip and Sony IMX170 image sensor, this sports camera produces high-quality images even in low light conditions. It treats you with stunning FHD footage and additionally allows you to capture 16MP pictures of all those special moments in life. Thanks to its compact design, this sports action camera can be easily carried around anywhere you go. It comes with an IP68 waterproof case that is water resistant up to depths of 30 meters. This means you’ll even be able to take it along while diving in order to shoot mesmerizing underwater photographs and video. An ultra-wide angle lens is in place that treats you with an unbelievable viewing angle of 170-degrees. Thanks to this, you can be guaranteed that nothing stays uncaptured while filming with this action camera. All your recordings can be watched back instantly on the 2 Inch display that this sports camera features. Therefore, you can be guaranteed that all your home made movies are of the highest quality. With its WiFi connectivity, your sports action camera allows you to instantly share recordings with your iOS or Android smartphone. This brings along great usability and lets you share them with friends and family all over the world. This sports action camera features a built-in 1050mAh battery. When shooting video, it allows you to record up to 1 hour continuously without needing to worry about battery life. With its different shooting modes that include time-lapse and slow-motion, this compact camera brings along plenty of features to explore for beginning and advanced photographers alike. The gadget furthermore supports a 64GB SD card slot that offers plenty of space to store all your media. Whether you’re into skiing, mountain climbing, or diving – this action camera follows you anywhere you go. 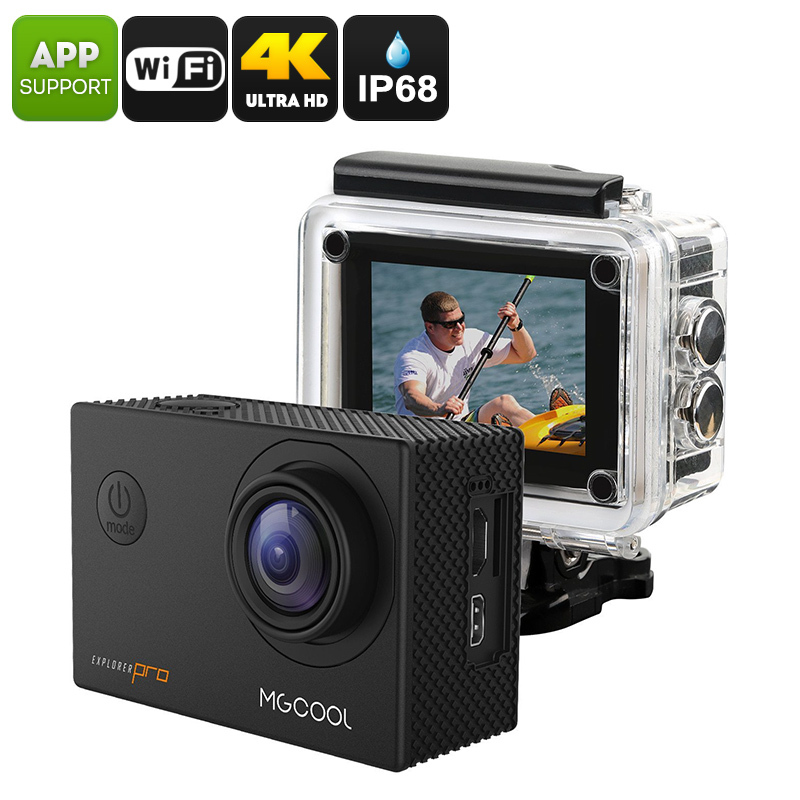 This action camera comes with a 12 months warranty, brought to you by the leader in electronic devices as well as wholesale electronic gadgets..
APP Name: "Mgcool Explorer Pro"